The Rhodes University, South Africa, through the University Council, has established several Rhodes University Post-Doctoral Fellowships across all faculties for South African students. The Fellowships are intended to foster existing research and scholarly or creative activities within Rhodes University departments and institutes. Ideally a Fellow's proposed work will closely complement existing programmes in the host department. These fellowships may be awarded for one year with the possibility of renewal. Applications are invited from suitably qualified applicants for the 2018 Rhodes Postdoctoral Fellowship. Although there is no age restriction, potential Fellows must hold a doctoral degree, awarded within the last five years, preferably from an institution other than Rhodes University and recognized as appropriate to the discipline for which the Fellowship is sought. Successful candidates must be of exceptional merit as evidenced by the quality and corpus of publications or other recognized forms of achievement relevant to the Fellow's discipline. The Fellowship will be awarded strictly on merit. An applicant who has not completed his/her PhD at the time the Fellowship is offered must have submitted the PhD thesis by the end of 2017. In these circumstances the Research Office will require written assurance from the applicant's supervisor that there is a reasonable expectation that the doctoral degree will be awarded. Applications should be made through Heads of Departments or Directors of Research Institutes. Each Fellowship is a package of R180,000 per annum with an additional allocation of a maximum of R20,000 to be used at the discretion of the Head of Department and the Fellow. The Fellowship cannot be held concurrently with any supplementary funding. Applications for the Fellowships should be made through the potential host department and then directed to the Research Office (research-admin@ru.ac.za). The determination of awards will be made by a committee comprising the Deputy Vice-Chancellor: Research and Development (Chair), the Director: Research Office and Faculty Deans. Download the 2018 RU Postdoc Application Form‌(doc). It is important to visit the official website (link to it is below) for complete information on how to apply for this postdoctoral fellowship. Applications for the 2018 Rhodes Post-doctoral Fellowships close on 31 July 2017. The University expects that all publications, creative works and other academic products of the Fellowship will bear appropriate acknowledgement with full affiliation to Rhodes University. The University reserves the right to co-ownership of inventions and/or patents directly emanating from research conducted under the sponsorship of the Fellowship. The University reserves the right to request the refund of any fellowship paid to the Fellow should the Fellow terminate his/her contract prior to its completion. 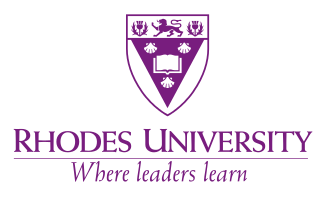 Rhodes University (RU or simply Rhodes) is a public research university located in Grahamstown in the Eastern Cape Province of South Africa. It is one of four universities in the province. Established in 1904, Rhodes University is the province's oldest university, and it is the fifth or sixth oldest South African university in continuous operation, being preceded by the University of the Free State (1904), University of Witwatersrand (1896), Stellenbosch University (1866) and the University of Cape Town (1829).